As your projects get bigger, they collect more and more packages. It can be a chore keeping track of which packages have been updated to fix potential bugs. We have that issue and devised a simple script to tells us which installed packages could use a bit of freshening up. Our first multivariate test netted a 13-18% increase in customer interaction using our Django testing framework and Google Website Optimizer. We learned a lot on this first go around. We have several servers that are supposed to have the same packages installed, but often get out of sync due over time. To make it easier to find these out-of-sync packages and servers, I wrote a quick fabric script to do the checking for me. Django makes it easy to start an app with the command ./manage.py startapp. However the app template that it creates is very simple and it creates it within the current project. We need to make the process of creating an independent app that easy, with a much better template. 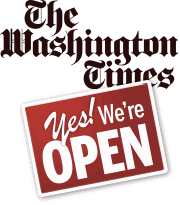 We’ve created many web sites at The Washington Times, many were just speculative, and most are not around today. In order to prototype a web site quickly, we developed a set of habits that make it easier. I call it “app-centric Django development”. My previous post about the alphabet filter explained the first take at creating the alphabet filter. There were several issues, especially with international character sets, so we have revised the code to fix the issues and made it installable via PyPI. Do you have lots of alphabetical data to sort through? This alphabetical filter works with any set of characters and is integrated with the admin like the date hierarchy. As we discovered some specific tools, we were able to create a workflow for creating, deploying and maintaining sites quickly and easily using Django. The end of the year makes me reminisce about all that happened in the past 12 months. Web development at The Washington Times has changed dramatically, both in technology and process. In the process of refactoring an app, we realized that we needed a general purpose, object-level (or row-level) permission system. So one thing lead to another and it built one. Because of the complexity of object-level or row-level permissions, we wanted to get feedback on the current proof-of-concept from the Web’s best and brightest: the Django developer community. This started out as a simple extension of my blog over a year ago. It was called snippets at the time, and it was merely a project to learn. I also had built a simple paste bin, which was my first django project, with the same purpose. I finally decided to rip the snippet app out of my blog, rename it to tidbits, and try to build it out on it’s own. From start to finish, it was both exciting and frustrating, I learned a whole lot about python, django and even myself. Every week at the Washington Times we have a training session that includes watching and discussing a video. Here is the video for 2/11/2009. I have a few philosophies, such as “if I stop having fun at my job, It’s time to move on.” All the IT related jobs that I have held have been fun in one way or another. For example, my first job in the IT field was doing Coldfusion. We actually had more fun then we should have, and overall, it was a good experience. I’ve also stayed friends with most of the developers and we hang out from time to time. Sometimes it is nice to have the Django Documentation in a browser that doesn’t quit every time you quit or change browsers. Every week at the Washington Times we have a training session that includes watching and discussing a video. Here is the video for 1/28/2009. Every week at the Washington Times we have a training session that includes watching and discussing a video. Here is the video for 1/23/2009. It was late due to illness. When I started to learn django, i fell in love with django forms, or newforms as it was called then. It made writing forms a lot more enjoyable. So like many relationship, it started out great, we, (me and django forms), were having a great time together, having fun spending a lot of time together, great. Then we started to get serious and that’s when things became more complicated. Every week at the Washington Times we have a training session that includes watching and discussing a video. Here is the video for 1/14/2009. Starting a new job means setting up a new computer. With a clean slate, a blank canvas, a fresh start, if you will, I decided to document what I really need and use.